Hi everyone! I want to announce the winner of this month’s Save The Bee’s giveaway (in a minute). And I want to give you a few links for Christmas sewing ideas. Lastly, I want to welcome the new followers of my blog. 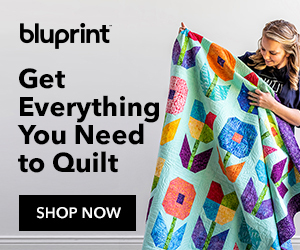 Since posting the 8 Tips to create a perfect quilt block, I’ve gotten quite a few new readers and I’m really glad to have you all! The winner of the Save The Bee’s Giveaway is comment #219, Esther C. In response to the question of whether you have taken an online quilting class or not, she said, “I have never taken an online class. The sound is out on my laptop so until I get a new one it is hard to do! I have watched some tutorials on my phone but I’d rather have a larger screen for a class. I have learned a lot/gotten a lot of ideas from blogs.” Congratulations, Esther! You’ll be receiving a prize package from Olfa soon. I know that in the United States, we’re busy getting ready for the Thanksgiving holiday. At the same time, many of us are preparing for the Christmas holidays too. I wanted to give you a few places to visit online that might help inspire you. I’m so glad to see that Sew Mama Sew is once again hosting their Handmade Holidays series. They do a wonderful job of curating free patterns and tutorials for you, and they do it by categories. So far, you’ll find gifts for babies (and their parents), gifts for girlfriends and gifts for organizers. If your gift list includes sewists, you’ll love these 10 Gifts to Make for Sewists at A Spoonful of Sugar. These are quick and easy gifts to make for your crafty friends (or yourself)! There’s nothing like a handmade stocking, and this Christmas Stocking Sewing Pattern Roundup by Nancy Zieman Productions will give you lots of ideas to choose from. Last year, I did a blog post with Gift Ideas to Make and Give From Your Sewing Room. You’ll find plenty of free tutorials from years past that are still perfect for today. On a more personal note, I will not be doing any sewing for the holidays. We are about to undertake a remodel of all our bedrooms and bathrooms, so I’ll be living in a state of chaos for several months. I’m cleaning and purging everything – including my sewing room. It’s something that will pay off in the long run, but this is a painful process as many of you know. I am very thankful that we’re able to undertake this, but I’ll be moaning and groaning along the way! Tomorrow, we leave for Mexico to celebrate a good friend’s wedding. We return the day before Thanksgiving, which I’m hosting (but it’s small and just family). I’d like to wish you an early Happy Thanksgiving and a heartfelt “thank you” for being a part of my online community! I know that the renos will make for choas but just think of the wonderful results at the end. Enjoy your Thanksgiving and the wedding! I love how you share so many of your ideas with us and those of the online quilting community. Thank you for some helpful hints for gifts that I know I’ll have time to make! Congrats to the winner and what great links Julie! Enjoy your remodel and hope you’ll share photos! Thank you for all your tips and time Julie. I hope you have a wonderful trip and a very Happy Thanksgiving! Be safe and stay well. Happy Thanksgiving, happy travels, and, yes, happy remodel! Thanks for all the good Christmas sewing links. Safe travels and Happy Thanksgiving! Happy Thanksgiving to you and yours. I love your website. lookin forward to quilt more next year. A faithful quilter . After the kitchen remodel, you should be a seasoned remodel trooper. And what a brave lady to go to Mexico and return the day before Thanksgiving which you are hosting. Have fun, bw safe and hope your travel is uneventful. It’s snowing here right now. Thank you, Julie. You are sweet to do this with everything going on in your life. Moan (and groan) on here to let us know how you’re doing when you can, please! Safe travels, and Happy Thsnksgiving! Hello Julie, All of these links are so kind of you to do. I do not give many homemade gifts, as the people I give gifts to are not appreciative of homemade. Yet, I look and always find items that I want to make for myself or give to charities to use. I hope that your wedding time is filled with fun and love. I may not always comment, but I do read and enjoy your blog posts! Have a splendid day! Speaking of your house remodel…this summer we went from a disastrous water leak in the attic to a master bathroom remodel to Hurricane Florence. In packing for the hurricane, I bagged 40 years of fabric, etc. in my sewing room in two day’s time. When we got home from the evacuation, our house was intact–thank the Lord–but my sewing room was unusable. Now as I go through all those bags, I keep this in mind: I can either use it soon, bless someone with it, or wait for the next hurricane to blow it away. I’m choosing the first two. The thought of it blowing away has been enough incentive to do what I should have done years ago–lighten the load. There are many new quilters, charities, and crafters who would be delighted to share my stash. All the best with the remodel! Best wishes on your travels and upcoming projects. Have just learned about Dress a Girl Around the World project. They can use yardage, trims, elastic, buttons. etc for the girls dresses. A 501(c)(3) org too.